I have been challenged to integrate Angular web-application with Sitecore, I needed to create an ability for Content Authors to edit content that is coming from Angular Application. So lets think for a second, I have an angular application that has all of my design and all of my logic and templates and controllers and so on. 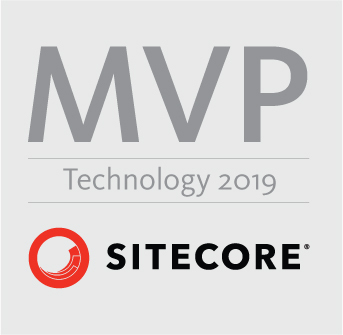 Sitecore is serving as a database. Customer would like to edit content in Experience Editor, not in the Content Editor, they would like to edit everything on the web page, the only way to do it, is to build the web site in Sitecore recommended way, by using the the MVC way. Create Layouts, Controllers, Models and so on. But we don’t want to rebuild it all. We would like to do this faster without rebuilding it. First thing is to figure out how to inject MVC into the Angular Template, within the Sitecore Layout. After my research has been done I stopped on an article by Sitecore MVP Alexander Smagin (Using Angular Directives in Sitecore Edit Mode). In this tutorial I will show, how you can get going really fast without rebuilding everything in Sitecore. Save your work and add __Standard Values. You result should look something like this. We will add Controller and Angular Module next. Make sure to change your templateUrl. And finally you can either add your own template or use this one for the learning purposes. This is just a sample, use your imagination how you can go about it. This is just a simple angular template that uses Bootstrap, and it will bind the content with the Sitecore (@Html.Sitecore().Field) method. Now since we have done all the work in Visual Studio. Lets go ahead and build it, and Publish it to Sitecore. Once Everything is Published we will go ahead and connect all of the code that we have done to our template, and start creating items, based on this template. Step 6: Lets Create a Sitecore Layout in Content Editor. How we will have to go back to our __Standard Values and add this Layout to the Template that we have created. Select the appropriate Layout and you are good to go. Create and item and you open in Experience Editor, and this item renders the layout that comes from the .html page with angular directive, you can edit everything, that you see on the page.